Tirana County is the seat of Albania's busy capital, Tirana City. 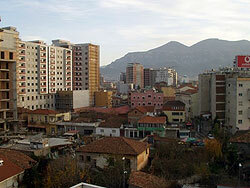 The county is home to around 1 million people, most of whom live in Tirana, while some live in Kavaje. Tirana's inhabitants are predominantly Muslim, although the city's culture is secular and modern.